One of the first questions that a waiter asks us when we order a steak in a restaurant is “how would you like it done? Steak Doneness is simply a gauge of how thoroughly cooked your piece of steak is. Do you know how to determine the doneness of beef? Cooking tips like these will help to make your next BBQ a big success and your steaks perfectly cooked. Grilling recipes are popular in our house all year round, but the grill really gets a real workout in the summer months, so it’s important to know how to really cook a good steak. The doneness is based on the color and internal temperature of the meat and also how juicy it ends up. Generally we use this grade for judging how well cooked a piece of steak is, but it can be used for other types of protein too. I personally always order my steak medium rare. I enjoy a bit of color and the juiciness that it will have and I know it will be safe to eat. What is your preference? 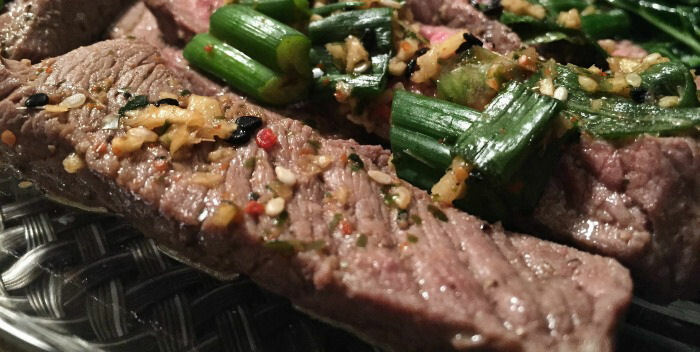 Need a great side dish to go along with your steak? Try this Southern coleslaw.The dressing is just amazing! For the following degrees of doneness, I am generally giving a range. This is because steaks will vary in thickness and the temperature of grills vary too. For this chart, I am cooking on a 400-500 degree grill and choose steaks about 3/4-1″ thick. This steak is for the purist out there. A rare steak is warm on the inside and lightly charred on the outside. It will have a cool, red center and will be soft to the touch. The inside will look a lot like raw meat but the outside will look cooked. Cook it to an internal temperature of 125º. For most steaks, this means cooking it for about 6 minutes on one side and then flipping it and cooking it another 3-4 minutes. My kind of finish, and the steak doneness that many chefs like to cook. A medium rare steak will have a warm red center and the sides will be browned. The top and bottom will have good grill marks and a nice caramelization. It will be firm but will still give a little in the middle. Cook to an internal temperature of 130 – 135º. To do this cook a steak 6 minutes on one side and flip and cook for another 4-5 minutes on the other. If you are grilling for a large group of people, cooking the steaks to medium doneness will probably please the majority of them. A medium steak has a rosy pink center with brown sides and a charred dark brown top and bottom. The steak will feel quite firm to the touch. The internal temperature should be 140 – 145º. Cook steaks for 7 minutes on one side and then flip and cook another 5-6 minutes on the other. A medium well done steak will have a light pink center and an internal temperature of 150 – 155º. It will have a dark brown surface with a good char on both the top and bottom. It will be stiff to the topuch but will still have a tiny bit of give in the center. This one is for those who don’t like color in their steaks. To cook a steak medium well, grill it for 8 minutes on the first side, flip and continue grilling for another 6-7 minutes. 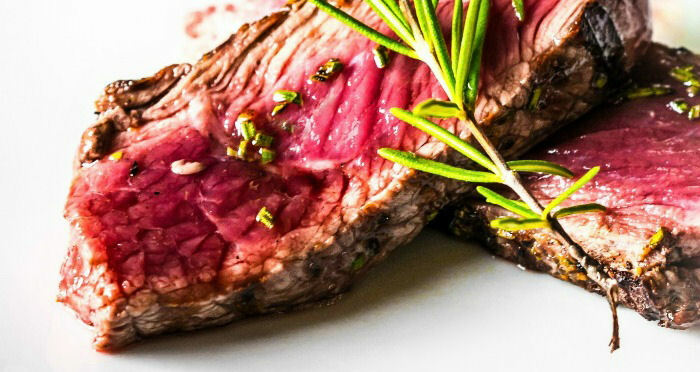 You may be surprised to note that a well done steak is the hardest one to cook well. This is because the extra heat time makes the steak lose most of its juices and also makes it easy to burn it. A will done steak will not have any pink in the middle and should be browned throughout. It should feel solid to the touch and have an internal temperature of at least 160º. Cook the steak for 9 minutes on one, flip it an then cook for 7-8 minutes on the other. No matter which steak doneness you are going for, start with a piece of steak at room temperature. Preheat your grill and let the meat rest a bit after cooking. Don’t “push” the steak to release the juices and make a pretty flame (no matter how tempting this is!) Check out this post for more grilling tips.